All Adopted: Kira is at her new home with my son. We have been receiving multiple requests for future reservations that are for any future puppy. The list on the left is for those who have place a reservation for a future puppy. Some have place a reservation for specific mothers (and if no one is ahead of them, can be for a specific spot with a mother). The list on the right (no entries yet) is for those who would like a call once I have a confirmed pregnancy. 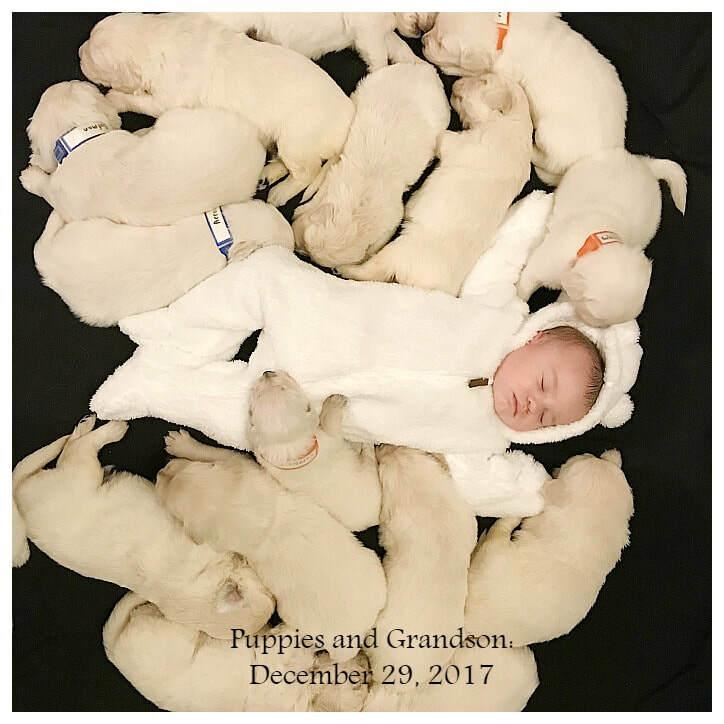 Three boy puppies and three girl puppies may be reserved before puppies are born. If there are less than that number available, you may move to the next litter or get your reserve money back. Puppies are born 9 weeks after conception and will be 8 weeks old when they go to your home. Puppies are chosen at 6 weeks of age in the order of reservations. 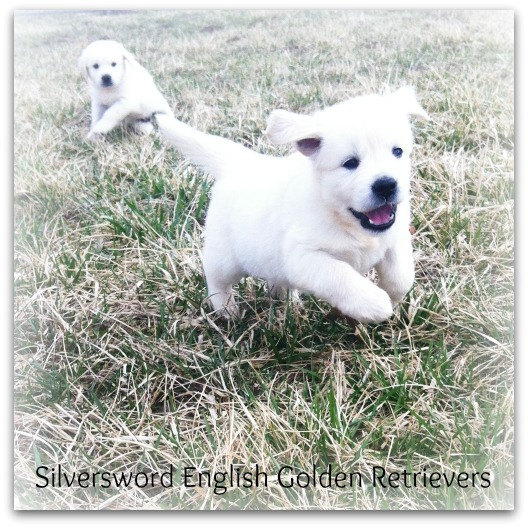 My daughter began Silversword and has now begun Milky Way English Golden Retrievers. If you are looking for quality puppies and I do not have any available, I would encourage you to visit her site. The puppy in the picture below is Asteroid, Orcrist's daughter. To see the type of puppies and information that will be posted for this litter, please visit her page from last year. Welcome!! 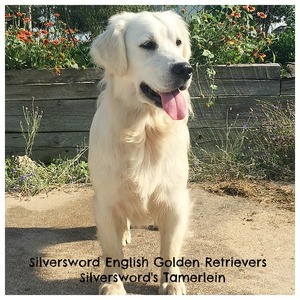 Silversword English Golden Retrievers is proud to raise top quality champion sired English Cream European type Golden Retrievers. We have enjoyed the companionship of Retrievers since 2003. 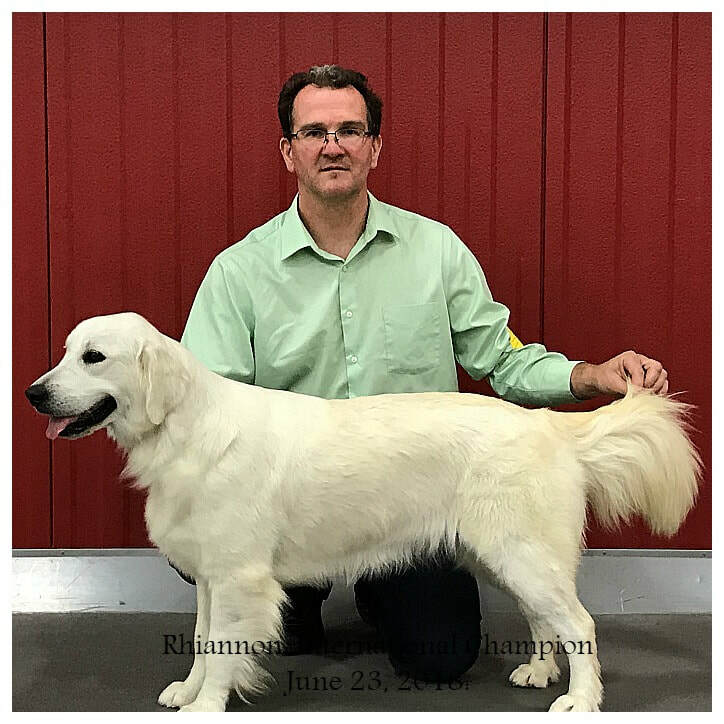 Our journey with English Cream Golden Retrievers began four summers ago with the first addition of our family, Silver Mist. We drove all the way to Lake Michigan area to personally select and pick her up. Only a few weeks later, completely sold on English Goldens and their sweet temperaments, we brought home our second pup, Princess Tizona, and drove to South Carolina to get her. Our Goldens are our pets. We own 25 acres and our dogs have the run of it. They are not kenneled and at night they come inside to the warmth of a good bed. Each one of them has an individual personality and unique flair for life. Our farm is located just north of Springfield, Missouri. If you would like to visit us, we invite you to give us a call and set up an appointment to meet our dogs, see their pedigrees, and show info in person! Our puppies are delivered to carefully chosen homes, confident that they can care for and meet the needs of the puppy. Each puppy is adopted to it's new home after 8 weeks. Our focus on puppy socialization includes: puppy kindergarden, quality playtime with adults, children and cats (when possible), temperament testing, and noise and surface conditioning. Puppies come with utd vaccinations and de-wormings, two year health/hip warranty, AKC limited registration with microchip enrollment, collar, leash, puppy food and treat bag, DVD with pictures and toy for new owner. Visit our Puppy Socialization Program page to learn more about how we raise our precious puppies! 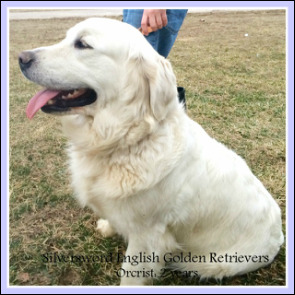 For more pictures of our beautiful English Creams, visit our facebook page, Silversword English Golden Retrievers.